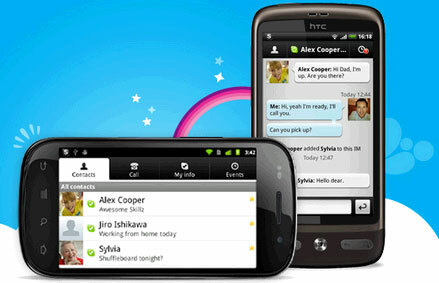 Skype just announced their new Android app with 3G capabilities. You can now use Skype for voice to voice calling on any Android device on both WiFi connections and now 3G. The Skype iPhone app has had WiFi and 3G capabilities. But with the release of the new Skype Android app, the mobile phone platforms, at least the ones used in mass, is now complete. Regardless of the features the Skype Android app might be missing, the fact that you can now place calls from both the Android device and the iPhone via 3G is a huge deal in the world of the mobile phone carriers. Take this trend a few years down the road, and I have to ask myself, where’s the need for cell phone companies? Could apps like Skype push the likes of AT&T and Verizon to the point where they are simply providing data for all these devices? Perhaps Skype won’t have too big of an impact on AT&T and Verizon, but with the web becoming more ubiquitous, and voice to voice apps becoming more prominent, you’d have to think there would be an impact at some level.